Attended by more than 250 experts from around the world, the annual Summit series highlights cutting edge technologies for high speed digital design and the development of the IBIS standards and modeling techniques that fuel this industry. 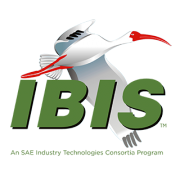 The IBIS Open Forum is the Industry Organization responsible for the management of the IBIS Specifications and Standards including IBIS, IBIS-AMI, IBIS ISS, ICM, and Touchstone. SAE ITC is an affiliate of SAE International. SAE International is a global association committed to being the ultimate knowledge source for the engineering profession. By uniting over 127,000 engineers and technical experts, we drive knowledge and expertise across a broad spectrum of industries. We act on two priorities: encouraging a lifetime of learning for mobility engineering professionals and setting the standards for industry engineering. We strive for a better world through the work of our philanthropic SAE Foundation, including programs like A World in Motion® and the Collegiate Design Series™.